Viewers have lashed out at Piers Morgan after he joked “I now identify as a black non-binary” on Good Morning Britain. Journalist Harriet Minter and Professor Eric Anderson appeared on The ITV breakfast show this morning (Tuesday, May 16) to discuss the topic of monogamy. Host Piers soon steered the conversation in the direction of gender neutrality and race identity issues, to which Anderson stated everybody should have the cultural freedom to define their own selves. @piersmorgan @susannareid100 @GMB Piers, watch your mouth. Why did you have to bring colour into the agenda topic? I pity GMB and Susanna. 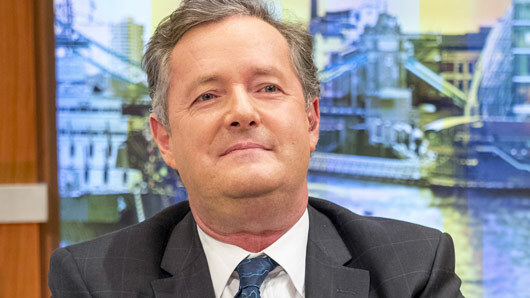 And viewers of the show were further outraged when Piers admitted he was “freaked out” by gender neutrality becoming more prominent in a school his friend’s daughter attends. Twitter users bashed Piers for his remarks, labelling him “disrespectful” and accusing him of adding to transphobic attitudes.